The Bioelectromagnetics Society (BEMS) and the European BioElectromagnetics Association (EBEA) glad to announce that BioEM 2019, the premier international conference on bioelectromagnetics and the annual joint meeting will be held in Montpellier, France on June 23-29. The meeting aims to presenting and advancing high quality research in bioelectromagnetics to address the mechanisms, effects, regulations and medical applications. We invite abstracts for platform presentations and poster sessions. Original papers are solicited for presentation (in English) on the interaction of biological systems with electromagnetic energy from static fields through Terahertz radiation. Authors wishing to present papers should submit a short summary and an abstract electronically. Instructions for Authors and the abstract submissions portal can be found at: https://www.bioem.org/home. The submission system is now open. As always, we particularly invite platform and poster submissions from students. There will be a competition (with prizes) for the best student papers (both oral and poster). BioEM2019 will offer travel support to a number of students. For details and to apply, see http://www.bioem2019.org. All abstracts will be reviewed and scored by the Technical Program Committee. While we will try to respect authors’ preferences for a platform or poster presentation, this is not always possible when we assemble submitted abstracts into a balanced set of sessions for the final program. 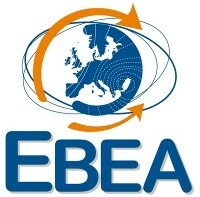 COST Action MyWAVE is co-organising the 9th International School of Bioelectromagnetism “Alessandro Chiabrera” with the European BioElectromagnetics Association (EBEA). COST Action MyWAVE is offering a minimum of 8 grants for interested trainees to participate in the training school. The deadline for application is February 1st, 2019. Notifications to Grantees will be sent starting mid-February 2019. As the premier international conference in the area of bioelectromagnetics, BioEM2019 is expected to stimulate further research in this field through the exchange of ideas and invigorating discussions, consolidating the state-of-the-art knowledge, and identifying existing gaps to be filled. The five day program of the conference will feature invited plenary talks by world-renowned scientists in the field of bioelectromagnetics, a variety of special sessions and panel discussions aligned with the most pressing issues, as well as informative technical sessions, poster sessions, and social functions. The meeting aims at presenting and advancing high quality research in basic and applied science in bioelectromagnetics to address medical applications, health concerns, and regulations associated with EMF. The meeting also offers participants from all over the world the opportunity to interact and exchange experiences and expertise among each other. Special attention will be paid to student contribution and competitions which are the focus at the BioEM meetings for many years now. Students from around the world will have the opportunity to present their work in an oral or poster session thus developing their communication skills and networking with other members of the bioelectromagnetics community.